St Maarten/ St Martin mainly consists of rock: the layered rock formations which form the two hill ranges were pushed upward from the ocean by tectonic forces and are about 50 million years old. 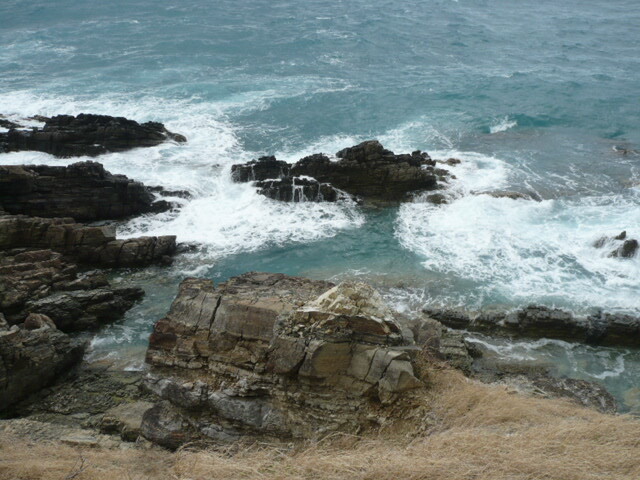 Later volcanic rocks and boulders were uplifted above sea level and you can find these anywhere on our island. The lowlands and Tintamarre island were also pushed up from the seabed and consist of limestone, which is compressed coral and other marine deposits. And then we have lots of sand which basically is eroded coral. We’ll take you to a great location showcasing St Martin’s layered limestone during our History Tour and during our Hiking & Snorkeling Tour. Through the currents of the Atlantic and the Caribbean Sea sandbanks mounted up and ponds and lagoons were formed behind it. Healthy and living coral reefs are still found today around our coast and offshore. Our reefs have had to withstand and recover from several hurricanes in recent history. We visit several wetlands during our Birding Tour, you can enjoy St Martin’s pretty underwater life during the Hiking and Snorkeling Tour. In an era long gone, although still millions of years after dinosaurs roamed the earth, St Maarten/ St Martin was high above the sea level and formed a landmass together with our current neighboring islands of Anguilla and St Barthelemy (St Barths). The island which then existed is now called the Anguilla Bank. The effects of this landmass now can still be found in some of our wildlife species: unique land bound animals that can be found on St Martin also live on Anguilla and St Barths, like the Anguilla Bank Ameiva and the Anguilla Bank Anole. You’ll be able to spot these lizards during any of our tours, but we focus on our wildlife particularly during our Birding and Hiking Tours. Long before humans came to St Martin animals were already occupying our island. Not very many different species though since St Martin has never been connected to a greater landmass or continent. Some animals flew in, others swam in or drifted over on debris or got blown in by hurricanes. The only original land mammals on St Martin are our six bat species. Our marine mammals are dolphins and whales which come to breed from January to April. Between 3300 BC and 1600 AD Amerindians lived on St Maarten/ St Martin or Soualiga, land of salt, as they called it. Due to the amount of construction on the island in the last 50 years some of the sites where these original inhabitants lived have been destroyed, our Dutch and French archeologists have been able to uncover some sixty Amerindian sites though of which dug up artifacts can be admired in the two historical musea St Maarten/ St Martin has. One of these sites appears to be the most ancient Amerindian village in the Caribbean and dates back to 560 BC. They – as well as the first ‘New World’ settlers – saw our hillsides overgrown with forests and tall hardwood trees. After Columbus spotted our island on 11/11/1493 he named her St Martin after a French saint. By the time the first Dutchmen set foot on St Martin in 1627, the Amerindians were already gone. The Dutch were interested in the salt ponds which they reaped to use as a much needed preservative in those days. With the Dutch and then the French, English and Spanish – St Martin changed Nationality quite a few times – came development of the land. It was then that the slave trade was at it’s height and by 1750 more than two thirds of the approximately 3000 people living on St Martin were slaves. One of the remains of this era in our landscape are the dry walls or so called slave walls, which we will point out during our tours. 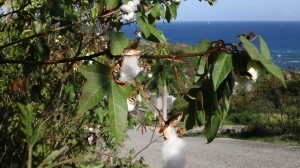 Even though not cultivated anymore, descendants of the cotton and indigo plants can still be seen on roadsides. After the second world war St Martin started to become a tourist destination. It started out with an hotel in Marigot in 1937 and large beach homes built by Americans in the early 1950s after the construction of the first airport. The first cruise ship docked in 1958 and by 1970 tourism was a considerable source of income. From 1980 an economic boom started which still lasts up to today. 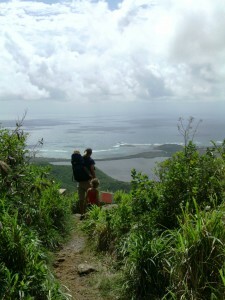 The enormous growth in population and visitors on this small island inevitably has effects on our natural environment. Follow the footsteps of St Martin’s inhabitants over the centuries during our very informative History Tour. The Amerindians didn’t have a great impact on our natural environment as there were only a few of them. The first major changes were instigated by the settlers in the colonial era: the big hardwood trees were cut and used for construction and as fuel and lots were cleared for plantations. With the settlers and their slaves also came animals from other continents. Some were introduced on purpose like the mongoose from India to kill rats, which themselves were stowaways on the trade ships and prospered well on the sugar cane plantations. Yet more mammals were kept as pets like the Green Monkey which originates from Africa and now roams free as well as livestock such as cows and goats from Europe. Introduced species are often invasive, they don’t have a natural predator, and some endemic species are now extinct on St Martin because of them. For example: the mongoose introduced to kill the rats has eaten the eggs of the Lesser Antillean Iguana to local extinction. Because of development, especially on the Dutch side, our ecosystems have come under great pressure. Our Great Salt Pond is much smaller than it used to be and the pollution from the dump site in the middle of it is not contributing at all to the water quality and its wildlife. There are less salt and fresh ponds and the ponds that are still there, including the lagoon, have less and less mangroves and other natural growths around and in them. Because of this, less wildlife survives here, gets born here or stops over here during their migrations. Our beaches are also getting smaller and have more human activity and light on them during the night, affecting nesting sea turtles and other breeding animals. Our submarine ecosystems like the coral reefs close to shore suffer from island water runoff and stirred up sea sand due to underwater construction. What then happens is that floating particles in the water block sunlight and healthy corals get overgrown by algae and die. Fish and invertebrates and everything that feeds on them will leave the reef. Our latest invasive species causing a lot of worries is the Lion Fish. Beautiful to see, but feasting on Caribbean juvenile fish without being eaten themselves, they multiply rapidly and the worst case scenario is that we won’t have nearly as many species of reef fish in a decade as we have now. Conservation is of utmost importance for the survival of our beautiful nature and all its inhabitants, read more on the protection of St Martin’s ecosystems in the Conservation section. 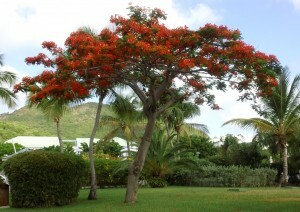 For such a small island – you can drive around it in an hour on a quiet day – St Martin offers a wide variety of habitats. 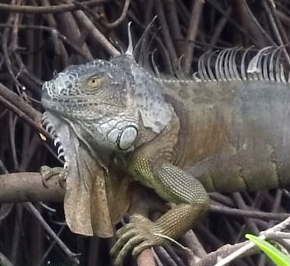 Each habitat has its own unique flora and fauna life and during our Peak, Pond and Snorkel Tour we visit them all. 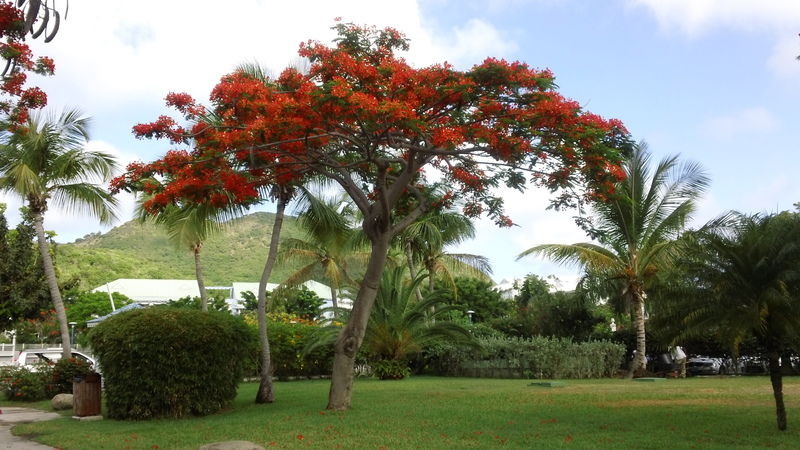 St Maarten mainly consists of hills and mountains. The lower hills are covered in lower shrubs including cacti and small trees. Our highest peak, Pic Paradis, has a lush tropical forest on her Leeward side with magnificent trees and flowers and has a spring. This area seems to have quite some tall hardwood trees from before the colonial era, which survived chopping down for construction, fuel or to clear ground for growing sugar cane and other crops. Part of Pic Paradis’ hillside has been turned into a nature reserve and attraction park. Our wetlands are made up by salt and fresh ponds which are often fringed with mangroves and some of them have mud flats. Besides a lot of ponds, St Martin has the biggest lagoon in the Caribbean. The wetlands are great for bird watching, both resident birds as well as – in season – migratory birds can be found there in abundance. To see St Martin’s birds go along on our Birdwatching Tour. 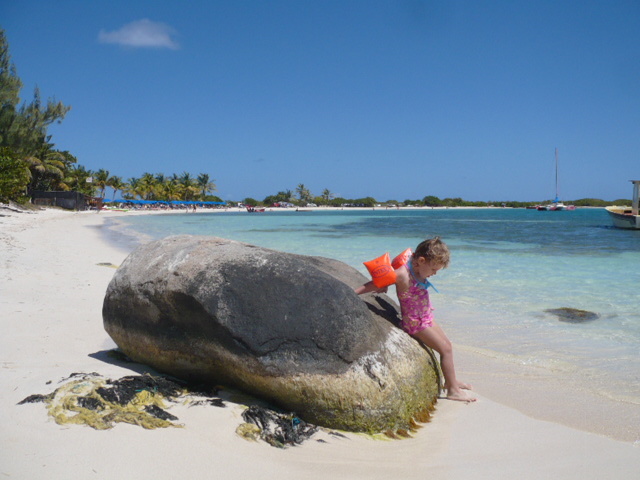 St Martin has a few rocky shores and lots of soft sandy beaches, one of the reasons why our island is a favorite holiday destination. The beaches are home to many crabs, hiding in their holes, and they are the birthing grounds of three endangered species of sea turtle. Birds such as stilts forage on the beach and in the air you’ll often see our national bird the brown pelican and other sea birds like gulls, frigate birds and terns. Our beaches are the hard work of parrot fish and since we don’t have a national fish yet, David believes it should be the parrot fish. Parrot fish scrape algae and coral off the reefs and after digestion deposit the remains back in the sea, creating wonderful fine and white sand. St Martin has lovely tropical submarine life too. While snorkeling you’ll encounter sergeant majors, trumpet fish, damsel fish, blue tangs, parrot fish, needle fish, sea urchins and perhaps a queen conch and hard and soft corals like brain coral and sea fans. Our Peak, Pond and Snorkel Tour will show you our lovely underwater nature too. 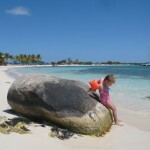 St Martin is a densely populated island; we have 900 inhabitants per square kilometer. Our urban areas are the home to birds like the banana quit, pearly eyed thrasher, grey kingbird and several species of doves and hummingbirds. The common sparrow can only be spotted in some neighborhoods and then there are plenty of lizards, spiders and insects. Also bats can be seen catching insects at dusk. 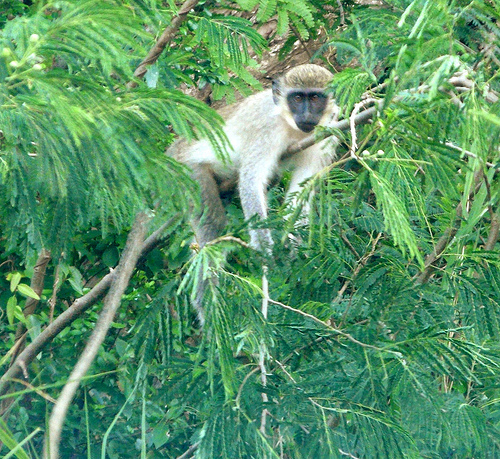 Although they don’t live in the urban areas, the introduced green or velvet monkey can be spotted on the outskirts and in gardens with fruit trees. 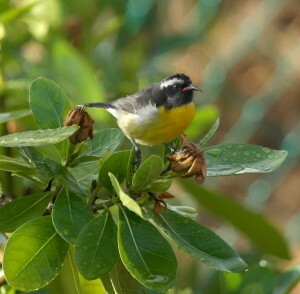 The different habitats on St Martin boast many species of flora and fauna. A few species are only to be found on St Martin, some only in the Eastern Caribbean region and most of the species can be found in wider geographical areas like the Caribbean or the Americas. If you are from Europe: you’ll have a hard time finding the species living on St Martin in your back garden! 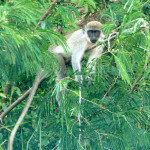 During our tours we’ll point out typical and remarkable wildlife as we go. To give you an idea of what you might see, below a limited overview of our local wildlife sorted by chance of seeing. For a more elaborate display and description of our fauna, check out the online version of Mark Yokoyama’s Incomplete Guide to the Wildlife of St Martin. Flamboyant Tree and Brown Pelican. Another national symbol is not a living thing but is very much ‘alive’ and you’ll see it no doubt: our flag. Banana quit (sugar bird), Roaming cattle, Grey Kingbird, Zenaida Dove, Magnificent Frigate Bird, Anguilla Bank Anole, Anguilla Bank Ameiva, Green Iguana, Black-necked Stilt, Royal Tern, Snowy Egret, for more birds check out our Birdwatching section. *If you want to be more sure you see those, ask us about scuba diving! 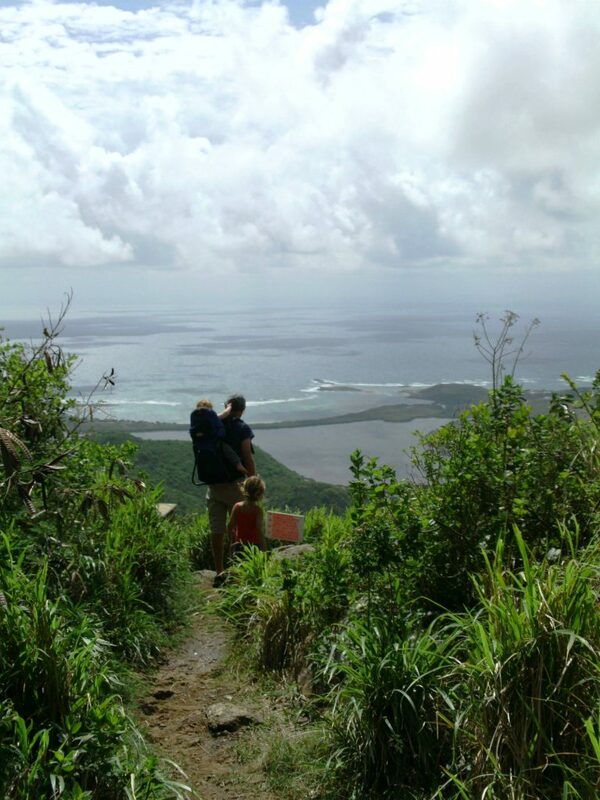 Read here about Nature Conservation Efforts on St Maarten and St Martin and your contribution towards it through our tours :).